Since tumbling down the rabbit hole into Perfumeland the only perfume I have bought on the spot is Bois des Iles. It was love at first sniff and despite the price tag I couldn’t walk away without a massive bottle of the Eau de Toilette. Bois des Iles is not just a great perfume, it is perfume perfection; a stunning and exquisitely balanced composition of aldehydes, woods, florals and spices. The Chanel website only gives notes of bergamot, mandarin, tonka bean and vanilla but elsewhere on the internet you’ll find lists which also include aldehydes, neroli, peach, jasmine, rose, lily of the valley, iris, ylang-ylang, coriander, vetiver, sandalwood, benzoin and musk. Sandalwood is the bed upon which all the other elements of the composition lay. There aren’t many materials in the world as rich and creamy as this much depleted natural resource so who knows how Chanel manages to maintain the quality in Bois des Iles, but they do. The soothing sandalwood note is present from start to finish. Upon first spraying the EdT you’re hit with aldehydes akin to freshly varnished wood. This fleeting blast is soon followed by bright splashes of orange citrus, muted florals and soft spices. These spices are of the gourmand variety and the resultant effect is often likened to gingerbread. It’s this mouth watering accord which helps to set Bois des Iles apart from other fragrances in the woody oriental genre. After moving through shades of orange and brown, Bois des Iles turns into the olfactory equivalent of powdered gold. The drydown is truly swoon-inducing. The fragrance seems to meld with your skin, coating you with its fragrant beauty. As well as the EDT, I now own the Parfum which is darker, deeper and surprisingly sweeter. I dab a little of the Parfum and add a few sprays of the EDT for volume. Master Perfumer Ernest Beaux was apparently inspired to create Bois des Iles in 1926 after seeing “The Queen of Spades” opera by Tchaikovsky at The Imperial Theatre in Moscow. You can tell how the richness and sumptuousness of the scenery and costumes are reflected in this plush yet reserved fragrance. 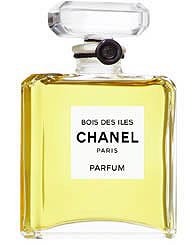 I’ve read that Beaux named Bois des Iles as a favourite among his compositions, which also include Chanel No. 5 and Cuir de Russie. Opulence can be tacky and comfort can be unsophisticated but this is not so in the case of Bois des Iles which retains a high level of refinement throughout its development. Forget the loud, brash orientals of the 70s and 80s, this is an oriental with chic restraint. Bois des Iles is a Chanel, after all. Bois des Iles is part of Les Exclusifs, available in 75ml and 200ml EDT and 15ml Parfum. This entry was posted in Aldehydic, By Tara, Chanel, Floral, Spicy, Woods and tagged Bois des Iles, By Tara, Chanel, Ernest Beaux, Fragrance, Perfume, Review, Sandalwood. Bookmark the permalink. Mmm, I love the deep, dark, sweet woodiness of the extrait. My generous DH and daughter placed a bottle under the tree for me, this past Christmas and it quickly became my favorite winter time scent. I’ve never tried the EdT and I’m afraid I might not like the aldehydes. I don’t get much aldehyde when I dab the extrait. Lovely review of a lovely fragrance. What a lovely Christmas gift, Tatiana! “Deep, dark, sweet woodiness ” is a great description of the extrait and I love to wear it in the colder weather too. I’m not ordinarily a fan of aldehydes but in BdI edt they are not the ultra fizzy nose-tickling variety and are very brief. I’m glad you liked the review as this perfume is a favourite of yours. Catherine I would definitely recommend seeking out a sample of this, especially as you love Champagne de Bois which although not a smell-alike, has a similar theme, as you say. I ordered a tiny bottle off of ebay (and I am not sure about my purchase). I like it enough, but I am not experiencing all the glory of the descriptions that I have read. I know that spraying is much different, and different concentrations vary, but what I have seems so light, I can hardly enjoy it, unless it is right up to my nose. I am on the fence. To me it is very different from SSS Champagne de Bois, which I LOVE!!! Should I give the spray a try, before I decide against a FB, which is what I thought I had been wanting. arline, I’m sorry to hear Bois des Iles doesn’t seem to be what you were expecting. I have heard people say it doesn’t have much substance on them but I’ve never had that problem. That’s skin chemistry I guess. I agree it is very different from Champagne de Bois and not a smell-alike at all (as previously mentioned). If you have a little spray bottle I would suggest decanting it and spraying because you’re right, it can make all the difference. That might help you make up your mind one way or another. I remembered this morning, that I have a little sprayer, and I did spray some. It is still very light on me, and do not think I will purchase it. Alas… I wanted so much to love this one. Its pretty, but what I get is as if I had been wearing it all day, and am appreciating the ghost of the scent. I do think I will go for Coromandel, because it does better on my skin. Thank you for a lovely review of one of my absolute favourites,and I had forgotten about the inspiration coming from The Queen of Spades,an opera I love so much-but I only know the EdT and your words about the extrait has created a longing…no,no,not with Etoile de Hollande and Mito coming out!! So pleased you liked the review Ariane, as it’s close to your heart. I’m glad I also reminded you of the opera, though I’m sorry to create another lemming! I too am eagerly awaiting the new releases from Mona di Orio and Vero Profumo. I hope you get the extrait for your birthday! When I first sampled the Exclusifs, I couldn’t decide between this one and Bel Respiro. I chose Bel Respiro, but sometimes, I wish I had chosen the other! That sandalwood base is so yummy. I know the feeling, oh to be able to have all the perfumes we want! I very much liked Bel Respiro when I sprayed the tester and need to get a sample. The sandalwood base of BdI is indeed yummy! Fortunately they gave me a mini of Bois des Iles, so I can still sniff it from time to time! Oh that’s good! Bel Respiro and Bois des Iles are so contrasting it must be nice to have a bit of both. Me too! I also wavered between Bel Respiro and Bois des Iles, and bought Bel Respiro (which I still love). I didn’t have your self restraint, though, and about a month later I went back and bought the BdI extrait. Sassa, I don’t blame you for relenting and going back and buying the BdI extrait. Hopefully you’ve never regretted it. It’s such a beauty. Good to hear that you think I captured BdI with the review and pic. I was concerned I was too close to it – it’s certainly not an objective review! It is definitely cold enough to wear today sadly. Thanks for taking time out from moving arrangements to comment, V.
I’m starting to think of you as a Chanel girl — Cuir de Russie, 31 Rue Cambon, Bois des Iles … and am I correct in thinking you like No. 19 too? Hi Tara! Thanks for the lovely review.Bois des Iles is also my favourite from Les Exclusifs along with Cuir de Russie. Do you know where can you buy the extraits? Do Place Vendome in Belgium carry them? Sorry for butting in – yes, Place Vendome carry the extraits. Thanks , B! Good to know! I’m absolutely broke at the moment, but one needs to be prepared for the future! Thanks for the good wishes Tara! I’m in between jobs at the moment(unwillingly, but slightly relieved at the same time that I finished with a place I didn’t get good vibes from), but prospects for a new job don’t seem to be that great now. I’m afraid it will be a rather long wait till I can call myself the proud owner of a Bois des Iles extrait bottle. I’m sorry to hear that ana but working somewhere with bad vibes can have a detrimental affect on you over the long-term so maybe it’s for the best. I hope something good comes along soon and you can celebrate with a bottle of BdI extrait once you’re on your feet again. Bois des Iles was one of my frst tries of the Exclusife line, and I loved it. Me too, Civava! It’s not often I experience love at first sniff and it was so unexpected. Lovely review Tara! 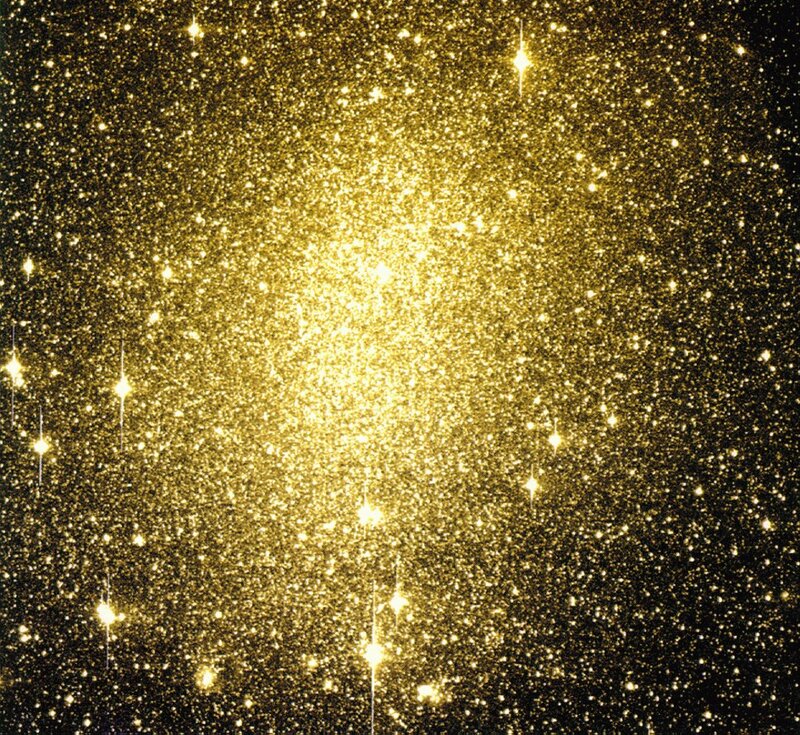 I love the idea of fragrant gold dust very much. Thank-you! It’s nice to think you’re wearing my sample of this tonight. I can see how it might not have enough “heft” for your tastes, but I hope it clicks for you. This sounds lovely with the sandalwood base, I’m going to make a point of trying it. I just yesterday tried my first of Les Exclusifes, 31 Rue Chambon. I really enjoyed it, but wished it was somewhat stronger. It reminded me very much of something else and for a long time I couldn’t figure out what, and then it struck me-Enlevement au Serail! I guess one day I’ll decide on a FB of one or the other. I’m glad you managed to work out what it was, that can drive me nuts until I get it. At least for once the Chanel Exclusif is the cheaper option! I found the more I got to know 31RC, the stronger it seemed. I hope you like Bois des Iles when you try it, Eva. Thanks, Natalie! I’m glad you like that image, I was pleased when I found it because I tend to have trouble finding one that’s just right. It is very lucky that I still love BdI as much because on the spot perfume purchases are a very risky thing. A number of times I have loved a perfume right until the drydown – Le Temp d’une Fete for example. I’m so pleased we will be wearing each other’s favourites today! If you had to choose just one concentration – which one would you buy? Let me join others saying that you’ve chosen a very beautiful image for that perfume – both visual and verbal. Thanks, Undina! That means a lot. Hard question about the concentration. Just because I think the parfum has a superior fragrance and lasts longer but I tend to wear the edt more often, probably because you can “spray and go” and you get more sillage. So if you’re happy to go to the trouble of carefully applying the parfum with the stopper then I would go for that, but if you want quickness and like to smell your perfume around you I’d go for the edt. I hope that helps! Thank you. Eventually I’ll get them both I’m just trying to decide which one to buy first. I have both concentrations for my favorite No 19 so I know what’s involved in using one of them… So probably the right direction for me based on that and your input will be EdT for ease and sillage. Sounds good! I like to have both concentrations of my favourites too (if available). I think going for the edt first is a good plan. The EDT was so fleeting and faint on me that I kind of wrote this one off, as lovely as it is. I recently asked at a Chanel boutique if it was available in parfum or edp concentration and the SA told me NO! What’s up with that? I don’t see it on the Chanel website either? I have read that a lot of people find the edt rather fleeting, I’m sorry it’s the case with you too, but it definitely IS available in Parfum (not edp though). I am very surprised you got such poor information at a Chanel Boutique. I don’t know where you live but Selfridges in the UK stock it. I hope you manage to find it. I wish SAs were more knowledgeable!!! Thanks for your help, Amy! Thank you both! I didn’t scroll down far enough on the Chanel website… the first Bois de Iles listing does not even show the concentration, so I gave up. These websites can often make you want to give up! Glad you found it in the end. I know I am late to comment on this but I just wanted to thank you for such a beautiful review of one of my favourites. This was my first ‘proper’ perfume investment after falling down the rabbit hole. I find it so warm and pleasing, but it is so elegant and straight backed that it is a perfume that I always feel I have to live up to when I wear it. It is the perfume I wear when I want to be at my most professional. Thanks very much, Alexandra! You are spot-on about it being warm and pleasing yet elegant and straight-backed at the same time. It is a rare and beguiling combination. I’m glad it’s one of your favourites. I just love Bois des Iles… I plan to buy a bottle it in Milan in a couple of weeks.